On to the next Gooseberry Patch recipe! It's been a few weks, so I'd better get back to it! 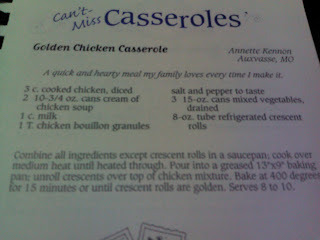 Tonight, I picked a recipe from the "Can't Miss Casseroles" section. 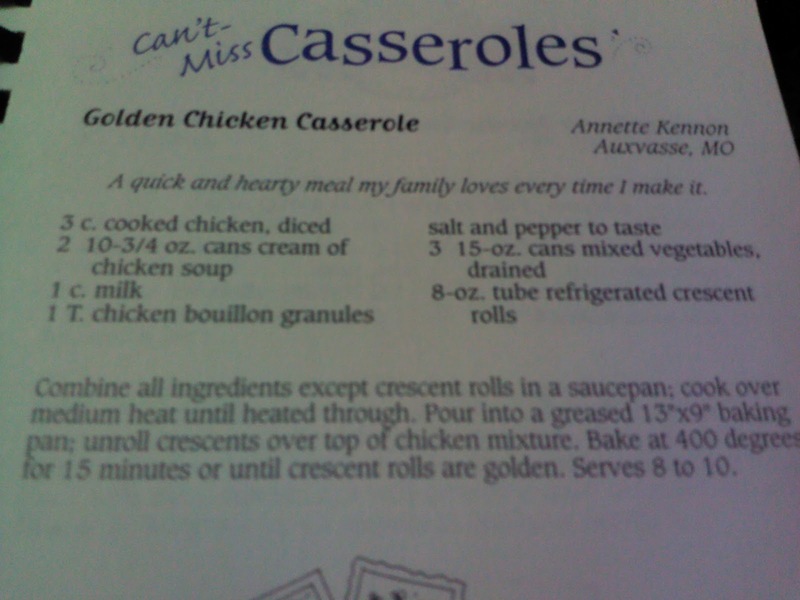 I don't make casseroles too often, but I decided to give this one a try because it sounded so easy and yummy! I made a few changes to the recipe based on what I had on hand. Instead of 3 cans of mixed vegetables, I used a can of corn and a can of green beans. Instead of crescent rolls, I used flaky biscuits. I also substituted cream of broccoli and cream of celery for the cream of chicken. 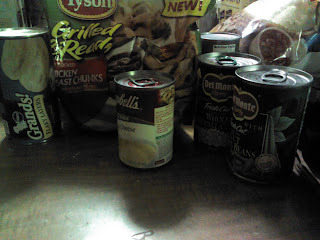 And since I'm being honest here, I used Tyson frozen, fully cooked chicken breast chunks. 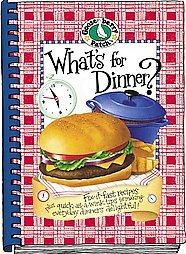 They're so convenient and have a great grilled taste! 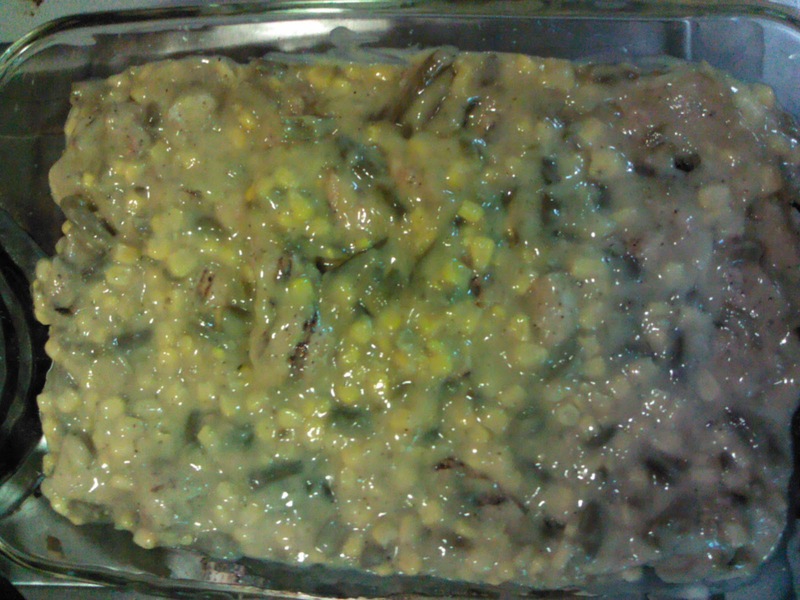 To begin, I mixed up everything except the rolls in a 13x9 baking dish. Since I was using precooked, frozen chicken, I put it in the oven at 400 for about 15 minutes, or until the chicken thawed out. 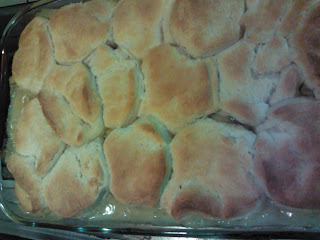 Then I pulled it out and added the biscuits. Back into the oven for 18 minutes, until the biscuits browned. It was delicious...and a total no-brainer, which was perfect for the Monday I had! I shared my videos for making grain-free DF roll out cookie dough and coconut whipped cream! Hi, Jen. I shared my grandmother's Lithuanian chow-chow recipe today. Thanks for hosting us again this week! Hi, Jen. 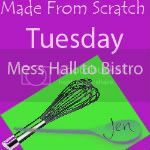 I shared a hearty beef stew recipe today. Thank you for hosting us at your link party again this week!